Some tweet chains have been running on Twitter this past week or so, linking up people's favourite books. 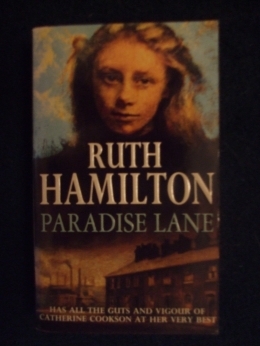 The idea is that you post a picture of the cover of a book you love - and that's it. No explanation as to why you love it, just a picture. I thought I'd add a few more of my favourites here, but this time with a few words alongside. This is the book cover I tweeted. 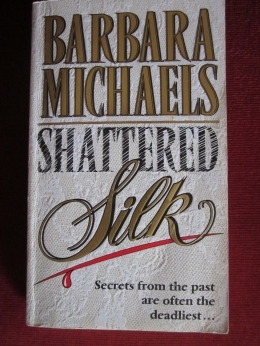 Shattered Silk by Barbara Michaels (who also writes as Elizabeth Peters). It is a suspense novel with a touch of humour, but don't let that fool you - it is genuinely tense and scary. The reason I love it in particular is that its background is to do with setting up a vintage clothing business - the history of costume being one of my interests. 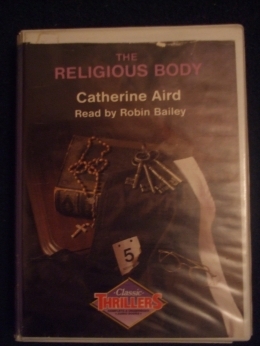 The Religious Body by Catherine Aird, written in the 1960s, is a brilliant whodunnit - or rather, it is a howdunnit. This is quite simply the cleverest way ever of killing someone. Trust me: you will never guess what the murder weapon was. 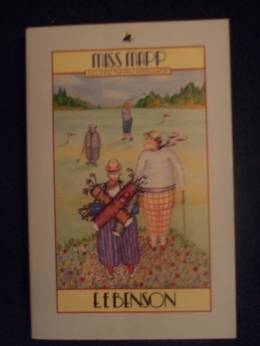 For me, EF Benson's Miss Mapp is the best comic novel ever. With Mapp and Lucia, I know you are supposed to prefer Lucia, but I always much preferred Miss Mapp and this book (Lucia-free) is superb. The scene where Diva opens the cupboard made me laugh out loud the first time I read it back in the 1980s and it still makes me chuckle today. As a lover of sagas both as a reader and as a writer, I have to ask: is this the best saga ever? I rather think it is. 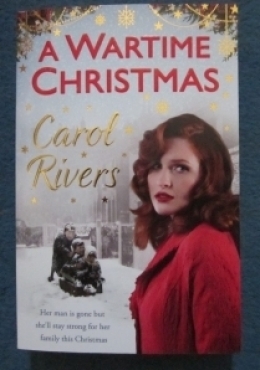 A Wartime Christmas by Carol Rivers kept me up reading long into the night several nights in a row. It is more than a family saga - it contains a clever mystery that is sustained right to the end and when the truth is revealed, it is as surprising as it is satisfying. Well worth those sleepless nights! 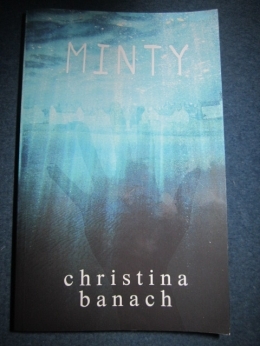 Minty by Christina Banach is a remarkable book. Written for the YA market, it tackles a difficult subject, possibly the most difficult subject of all - death and bereavement - head-on with confidence, honesty, compassion and even with humour. I used to be a librarian specialising in work with children and schools. Reading Minty made me wish I still was, so I could take it into secondary schools and give it the promotion it deserves. I'd even provide the boxes of tissues needed for reading the ending. Okay, it's time to stop, but before I do - I had to include this one. 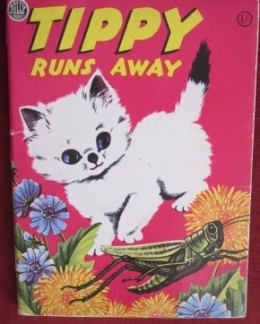 The first book I ever loved - Tippy Runs Away. How much did I love it? So much that I insisted upon being called Tippy for some time afterwards. A very self-indulgent blog this week. Do you have a favourite book to share? How easy or hard is it to choose just one? Tara, thank you for dropping by. Yes, having to pick out just one book was hard... hence this blog. I'm pleased you enjoyed my choices. I was tagged in this but completely forgot to do it during a busy half term. Like you, I would have struggled to pick just one. I think you’ve got the right idea posting several here as well. Lovely to read about your choices too. Jen, I agree with you 100% - there are just too many favourite books to share! I had quite a job whittling my list of possibles down to these few. I'm glad you found my selection interesting. Jan, thank you for sharing your current reading. I saw your tweet about the Victoria Cornwall books and have added them to my TBR list. I too enjoyed the Twitter chain - all those books, some familiar, some new. And yes, a good cover can certainly make you pick up a book and take a closer look. Such a delightful glimpse of your reading life and bookshelves, Susanna. Miss Mapp and Tippy are new to me! I'm also interested to discover that we share an interest in the history of costume. As for favourite books, there are too many to share. In childhood, though, I loved Beatrix Potter's 'The Tale of Two Bad Mice' and my interest in dolls' houses stems from that story. Christina, it was a very real pleasure to include Minty in my list. Such a powerful and compelling book. It was a great achievement of yours to write the ending in such a way that it is both heartbreaking and life-affirming. Minty has a very special place in my heart for reasons you are aware of. Thank you for your kind words about The Deserter's Daughter. Kirsten, I'm always interested in other people's book choices as well. Glad you enjoyed having a look at mine. Maddie, I'm glad you saw this and your inclusion in it. I'm still reading your book, so Cassie potentially faces a few more nights of bunking elsewhere. Catherine, lovely to hear from you. I'm glad you like my selection. Do I take it you are also a Miss Mapp fan? Thank you Susannah for another really interesting blog. There are books here I haven't read but will now seek out. Thank you for including me in your list and apologies to your poor cat for the laugh out loud! I wonder which bit that was? Tippy Runs Away definitely strikes a chord with me too. I wish I could remenber it!